תוכן זה זמין רק באנגלית. Are you the kind of weirdo who enjoys counting the seconds until death comes ? If you are, that's rather bad news. 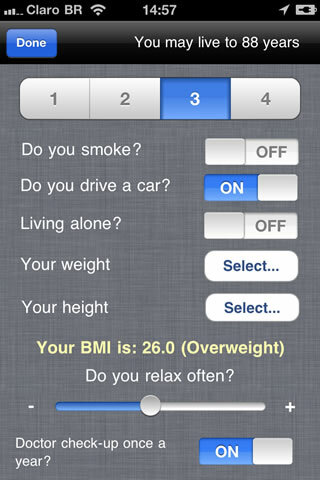 The good news is that this app was designed for you! 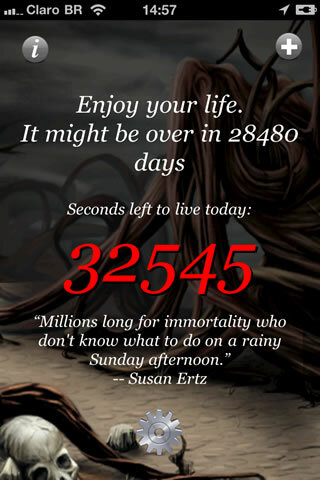 It will estimate the time remaining for you on this earth and display a counter to the last moment. After that it will mock you quite insensitively. Get yourself a sense of humor before downloading this application. The calculations used here are based on some statistical data and a whole lot of clueless assumptions. 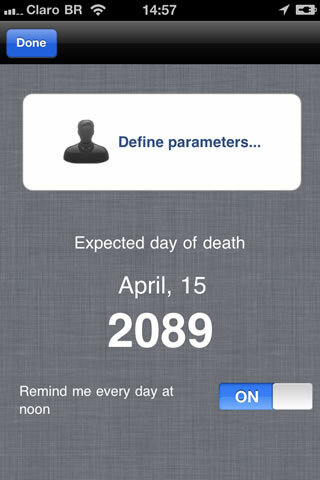 If you suffer from Hypochondria and can't stand the sound of a ticking clock, there are other apps. NEW: Now you can get daily reminders of the remaining days !